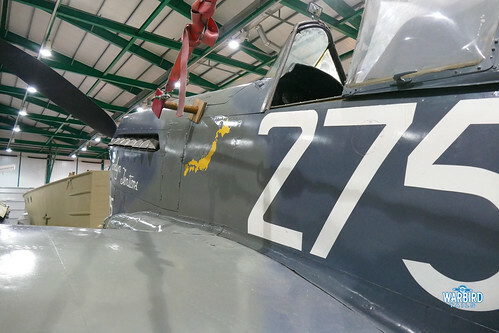 A long time fixture on my wish-list, I finally got the chance to take a tour of the reserve collection at the Fleet Air Arm Museum at Yeovilton. 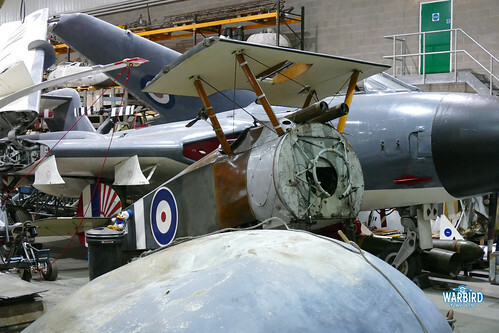 The museum has too many large artefacts (aircraft) to display on a regular basis and while they rotate aircraft through on a more regular basis than other similar collections, there are some gems that have not been on display for some time. The reserve collection is open to the public a couple of times a year and special tours are conducted as part of the open days. 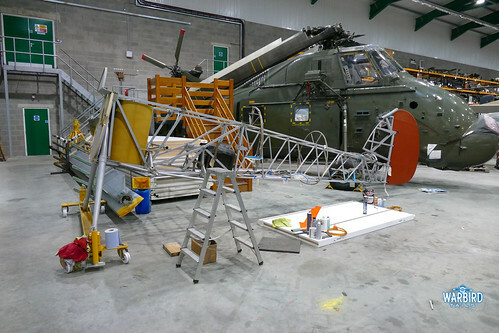 This offers the chance to receive a guided tour of the lesser known exhibits, or simply lose yourself for an hour wandering amongst some unique historic aircraft. The hall is home to three Sopwith designs, with the immaculate Sopwith Pup replica taking pride of place by the entrance to the museum. 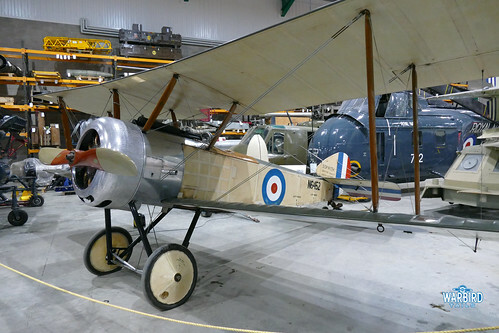 The Pup was on display in the main museum until a few years ago when the Sopwith Baby rejoined the main display. 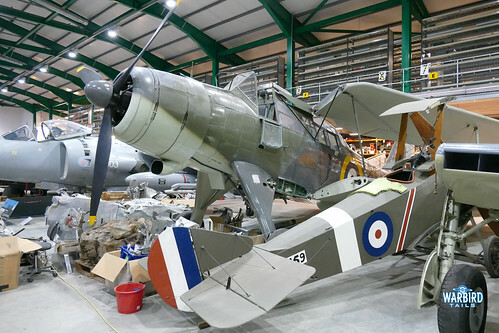 There is also a Sopwith Camel replica and a Triplane replica completing an impressive line up of representative Sopwith’s in the museum collection. Another unmistakable name in naval aviation is Fairey. Cobham hall contains a wide selection of types from this design house as well, ranging from the wonderful Flycatcher replica, which flew at airshows in the 70s and 80s, to the eccentric Albacore and two contrasting examples of the Firefly, not to mention a Gannet which somehow gets lost in amongst the other remarkable machines. 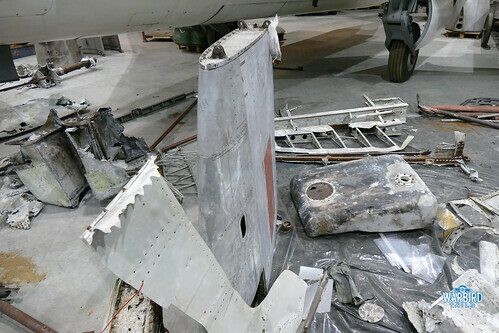 Perhaps the most significant Fairey artefact in the hall is actually the Barracuda project, which is currently a combination of restored parts and existing wreckage. The Falklands played a significant part of the modern Fleet Air Arm history and a number of airframes that were included as part of the recent 30th anniversary display with Sea Harriers and Wessex helicopters that took part in the conflict, some still showing signs of battle damage. From the other side of the conflict, there is also an Argentinian Huey and A109. 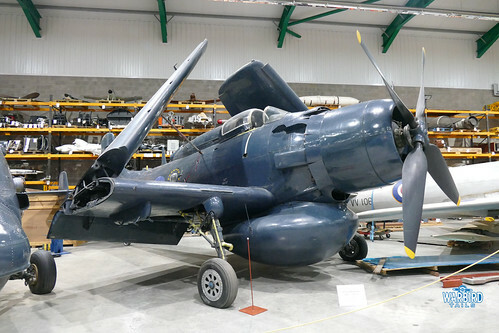 Even with all already listed there are still gems such as the Gloster Gladiator project, Blackburn Buccaneer development airframe and the only Douglas Skyraider in a UK Museum. 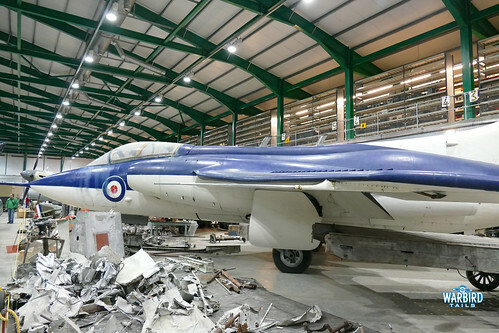 Last but not least, the sole surviving Westland Wyvern can be found in amongst the other exhibits. This post has still really only scratched the surface of the collection as there are so many other hidden gems and wonderful artefacts on display in amongst the hall that will hopefully get rotated into the main museum displays in the not to distant future. Purely based on the number of machines in Cobham Hall that are familiar from past incarnations of the main museum halls, I know that each of these machines will get time in the spotlight. I’d encourage anyone to book a tour for the next open day in March as it really feels like a very special look “behind the curtain”.